After a surprise announcement at The Game Awards last month, the long awaiting gameplay reveal stream for Mortal Kombat 11 has finally happened, and it didn’t disappoint. Well, kinda. The pre-show wasn’t exactly fun, though it did have Xavier Woods yucking it up in the background. Still, guess that serves me right for watching the pre-show of a stream about a videogame like a chuffing nerd. Consider that lesson learnt. Regardless, the proper stream was filled to the brim with gameplay features, character reveals and a few more surprises. Let’s break down everything that happened on today’s Mortal Kombat 11 stream. The trailers shown also includes the likes of Liu Kang and Kung Lao, so it’s fair to assume they will be playable as well. They’re classic characters, they just have to playable. Right? Side note: I think I’m going to be a Geras main. Following on from MK X, with a Dark Raiden governing Earthrealm after Shinnok’s attempted invasion. Don’t worry, it’s nothing for him to lose his head over. However, Raiden’s actions over the past two games have seemingly upset the balance of the universe, and new character Kronika is intent on setting things right. It wouldn’t be a new Mortal Kombat game without a host of new features, and the reveal stream gave us plenty of details in that regard. The new customisation engine, named the Custom Character Variation system, will allow players to create unique versions of the entire roster with new moves and costumes. The customisation looks like a blend of Injustice 2’s gear system and the Variation system from Mortal Kombat X, which is fine by us. More customisation is always nice. That said, making each character your own will make fatalities even more crushing when you’re forced to watch Sub-Zero get eviscerated, and the new GoreTech engine amplifies that. As for the gameplay itself, X-Ray moves have been removed. Instead, the hard-hitting impact of an X-Ray has been added to regular gameplay, with certain moves triggering X-Ray moments. Replacing X-Rays is Fatal Blows. If a player drops below 30% health, they can use a Fatal Blow to turn the tide of battle, and they look brutal. There’s two new meters now, one for offensive abilities and one for defensive abilities, which improves the game’s meter management elements. No longer do you have to save all your meter for combo breakers instead of meter burning. Now, you can do both. Finally, there’s a system called Flawless Block, which allows you to counter your opponent with the right timing. It wouldn’t be a 2019 game reveal without the announcement of a Collector’s Edition, or Kollector’s Edition, and Mortal Kombat 11 is no exception. The Kollector’s Edition includes the premium edition of the game, a bust of Scorpion’s head, the usual steelcase and a fancy box to put it all in. Also, pre-ordering any version of the game will get you access to both Shao Kahn and the beta which goes live in March. Which part of the stream got you the most excited? 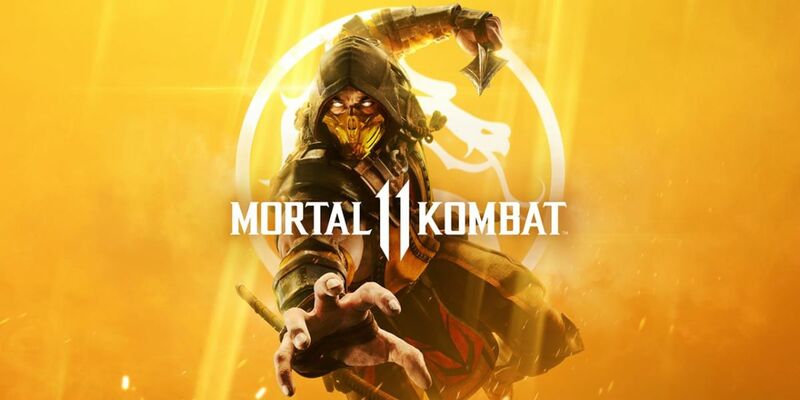 Let us know if you’ll be playing Mortal Kombat 11 when it launches on April 23rd for PS4, Xbox One, PC and Nintendo Switch.